Little India on Main – the Indian business community here in Frankfurt is as multifaceted as India itself. From IT and software companies through banks and airlines all the way to restaurants and clothes shops – the Indian business community feels right at home in Frankfurt am Main. 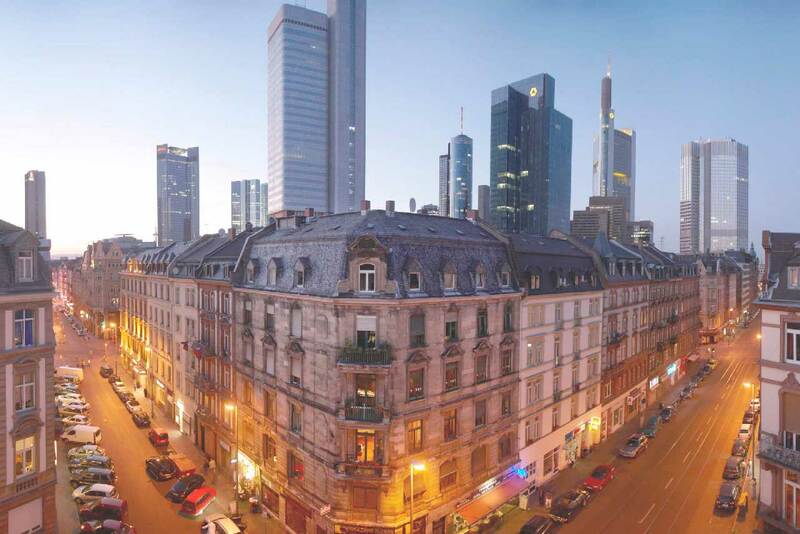 Frankfurt am Main is the gateway to continental Europe for almost all key players of the Indian high-tech, outsourcing, software and ICT industries. The relations between Frankfurt and Indian business delegations have been well-maintained for many years. Frankfurt Economic Development GmbH is the trusted partner for Indian companies both in the phase of settlement and in later business development. Are you interested in investment or networking opportunities? Then please get in touch. The Indian General Consulate has been among the consular representations in Frankfurt am Main for many years and is responsible for Rhineland-Palatinate, Saarland and North Rhine-Westphalia besides Hessen. IndiaTourism Frankfurt aims to show those interested in and travelling to India the highlights of the Indian subcontinent. The State Bank of India and ICICI Bank are important representatives of India’s finance industry in Frankfurt. A multifaceted Indian life has taken root in Frankfurt, which is appreciated by non-Indians as well. Indian doctors, alternative practitioners, Ayurvedic specialists, lawyers, travel agents, specialty shops and restaurants all offer their services. Bollywood is also becoming a more and more popular export. Entire series of screenings are devoted to the genre, and the German Film Museum is home to the German-Indian Film Club, which celebrated its 20th anniversary in 2009. So far, it has screened more than 350 films. Frankfurt and the RheinMain region are popular filming locations for Indian directors. The Frankfurt Cricket Club (FCC) e.V. keeps up one of India’s favorite sports. The Indian Sports and Families Association also attracts those interested in sports. The German-Indian Roundtable is dedicated to strengthening the economic ties between India and Germany. Regular meetings are convened to exchange information and facilitate contacts. Representatives from Indian and German companies can meet experienced India experts here. German-Indian Society Darmstadt – Frankfurt e. V.
The society’s objective is to improve German-Indian cooperation in the areas of art, culture, and business. To this end, working groups, among them the Forum for Business and Politics, have been founded. They bring together businesspeople, academics and politicians from India and Germany. German-Asian Business Circle (DAW) e.V. The club was founded in 1995 and offers its members the opportunity of entering into an in-depth exchange of experiences, of listening to first-rate talks, and of meeting experts on Asia and decision-makers from the business and diplomatic worlds. German-Indian Cooperation (DIZ) is dedicated to the causes of development partnership and international understanding. It cooperates with local partners in India in order to improve the living conditions of the deprived population. Working camps in and study trips to the Nagpur project are organized regularly. In Germany, seminars and talks on the project and on India in general are offered.